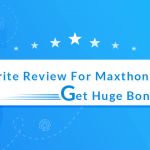 As we mentioned previously, we’d like to hear from you guys about how you use Maxthon browser in your daily life, and we are also very glad that we received much feedback from our users who want to share their Maxthon stories with us. This is the first post of our “Me with Maxthon” series featuring users’ testimonies about Maxthon browser, and today we’d like to introduce Jon Kam, an energetic boy from Viet Nam. 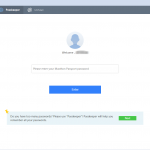 How did you know Maxthon browser? When? I tried some browsers such as Chrome, Firefox, UC browser, Baidu browser, but unfortunately, my laptop overheated and ran slowly with those browsers. While on my Android phone, the situation was not better: browsers ran more slowly and crashed. Plus, some browsers have no sync function. It is not convenient. Over a year ago, I found Maxthon browser in an app store. I tried the desktop version first and then installed Maxthon on my Android phone. Boom! I have decided to keep using Maxthon as my main browser. 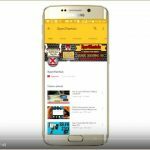 This browser works very well on my laptop and my Android phone with a low memory of RAM (I still rock with an old Android phone). Does it help you boost the efficiency? 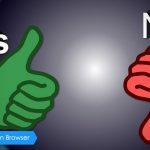 Or, how do you think about Maxthon browser? You can call me “a heavy user of Maxthon”. To me, Maxthon browser is my assistant. MX5 is simple and clean, easy to use, running smoothly without a crash. Functions of sync work fine, especially for Maxnote, which is my main tool for collecting information. With Maxnote, I can set up my own virtual workplace, virtual information library with freestyle arrangement according to my favor, always organized. 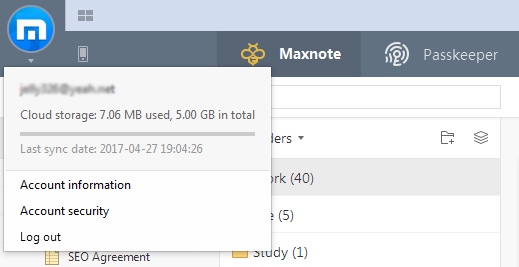 Maxthon download manager is also a good feature of Maxthon browser, making it easy to control and monitor the downloading process. My love on MX goes deeper and deeper each day. 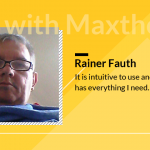 We Maxers always speak up our opinions and thought on it, and Maxthon staff will patiently listen to us. Thus Maxthon is becoming more and more user-friendly each day, and also my top toolkit by now. Could you share with us a story between you and Maxthon? At the office, I work on laptop and workstation. When I need to go out with my partners, friends to discuss or shoot movies, videos, I leave my laptop at the office but just open Maxnote on my phone to check information (saved from the laptop) I need for my projects. I create folders and set them in the “offline” mode to save pictures, notes, my tentative plans, new ideas, prepare reports to the customers and partners. I must access these data very frequently and the internet connection isn’t always available everywhere, so the offline reading is quite useful to me. That’s the way I run a “Paperless Office” on Maxthon browser. After coming back to the office, I just open the browser, wait for the synchronization progress to complete on phone, and then I can open my laptop to continue my work. It saves me a lot of time. Due to my work, I need to join many forums to expand our business, so I have many accounts for these forums. Passkeeper helps me to keep these accounts information orderly and organized, while I myself don’t bother to remember anything. It’s the best for me and quite different! 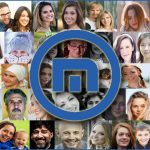 Above is the story from our friend Jon, and we also hear from him that now his younger brother was also introduced Maxthon5 browser, and fell in love with it. 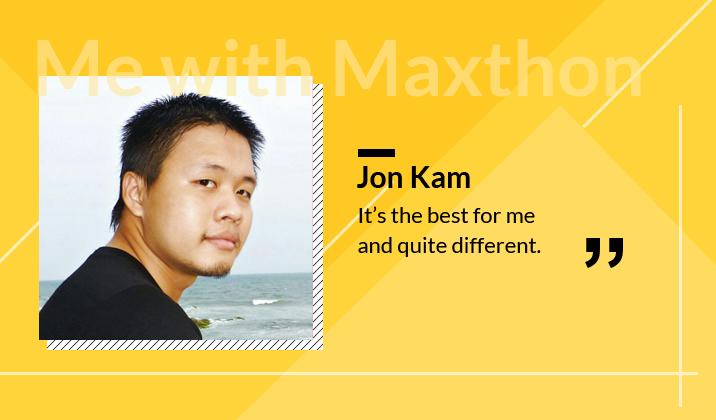 We look forward to hearing the Maxthon story from Jon’s brother! If you’d like to share with us yours, please feel free to fill out this survey and submit it to us. We will contact you as soon as your story is selected. Me with Maxthon Get Your 5GB Maxthon Cloud Storage Space For Free Now!